If you listen to the financial industry you need more and you need their advice to help you...or really to help them push their products. When we first retired a very good friend kept asking me, "GP, how much money do I need to have before retiring?"... My friend was and still is wealthy by the standards the world, he is also continuing to work, at the expense of his health I might add. I certainly wish him well, but he is swapping years of his life for dollars. For my friend and lots of others there is no right answer to that question. 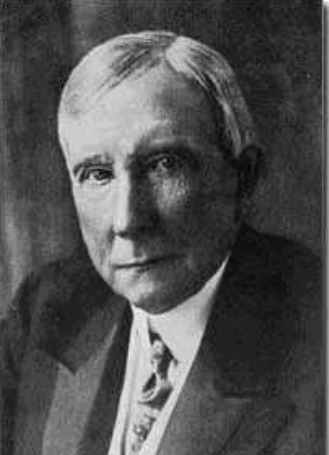 Pictured here is John D Rockefeller... near the end of his life someone asked Mr. Rockefeller how much money is enough? His reply," just a little bit more". Now please don't get me wrong, John D Rockefeller (Standard Oil), has provided a good living for thousands of families, who in turn have educated thousands of productive citizens. He was a generous philanthropist, and without such people's drive and determination to succeed America would not be the great country it once was. Our society needs then and now entrepreneurs like Rockefeller. However there is never a good answer to the question, "how much money is enough? ", work and accumulating wealth is what drives people like John D.
Here is another approach to how much money to retire? To enjoy your retirement, either early retirement or not, requires a mindset that says it is more important to retire ASAP and learn to live on whatever resources you have and will generate in the future. The question begs how old you are. If you want to retire to play golf... How many of us can play better at 65 than it 55?... not many. Trust me, as I am rapidly approaching my eighth decade on this planet, you develop aches and pains along the way. Could I retire right now to live on a sailboat ? The answer is sure, but I know I would be forced to outsource a lot of the maintenance that I used to do myself. The prospect of going up the mainmast, 53 feet above the deck, to change a lightbulb, seems more daunting now than it did 20 years ago. 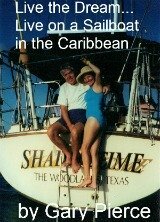 We could still enjoy the sailboat cruising lifestyle but we sure would not do as much island hopping as we did when we first started cruising... would we still enjoy ourselves certainly... but I'm sure we would find ourselves saying... "We've already done that let's just stay here for another couple weeks". I am also reminded of the people that we met on the dock... most are still there incidentally... that said that they would take off and go cruising once they could afford a 45 foot XYZ sailboat, with the long list of equipment. Same thing holds for people wishing to RV full-time... When I can buy a 45 foot XYZ RV... then we will hit the open road. They're still at home too. Newsflash!!!... you can see the same sunsets from a smaller older sailboat... you can visit the same National Parks, with the same beautiful views, in a travel trailer or in a million dollar Prevost. Some of the saddest comments I've ever heard are from people that said I wish I had retired earlier with less because now I'm not physically able to enjoy myself like I could when I was younger. Only you can answer that question, and only you should be asking yourself that question. Remember, the worst that can happen to you is that you have to return to work... try early retirement before it's too late. If you do not know what a Prevost is go here I do not think you would be on this site if you are considering buying one but here it is.